TIFF Diary 2014: Day 8 | Katarina G.
I’ve been attending TIFF for almost 20 years, a fact that I can’t fully reconcile myself or my deeply wrinkled and chronologically-unhinged sense of the passage of time. For the past four or five, I’ve been going with an industry pass, and it has changed the experience for me dramatically. One of the key differences, which begins to rear its head just before the final weekend, is the way I deal with festival fatigue. It’s a sad form of defeat, for which I always blame my own inability to plan and persevere, and I try to avoid it every year. This is why it was especially great to have a good old fashioned hard ticket to a public screening of Over Your Dead Body, the new Takashi Miike film. I started my day with an industry screening of Wet Bum (which I quite liked – keep on making those mostly cliché-free films about teenage girls, Canadian women! See also: Picture Day). If I didn’t have that hard ticket to the Miike film, I might have just gone back to the hotel and fallen asleep for four or five hours. In fact, I almost certainly would have. The sleep might have done me some good, but seeing a really beautiful Japanese film did me better. 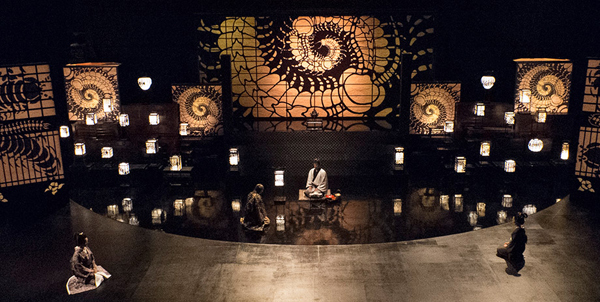 The film is about the relationships of a troupe of actors rehearsing a play, but their rehearsals (in full costume and on elaborate and gorgeous sets like the one pictured above) are also shown – and, of course, the story of the play (a period piece about a heartless samurai who betrays his wife) echoes what’s happening in the actors’ lives, at least somewhat. The production design, especially of the theatrical sets, but also the “real world” was so beautiful, I’m not sure the film was able to live up to its own visual promise. It was good. But it looked brilliant. 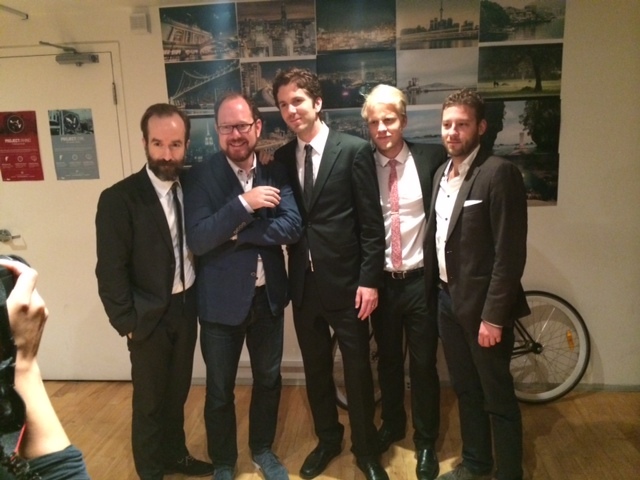 The evening was all about The Editor, the new giallo comedy/loving-parody/homage by Astron-6 members Matthew Kennedy and Adam Brooks (actor Conor Sweeney also came in for the fest), all of whom I really enjoyed meeting. We had dinner, drinks, and went to the movie in high spirits. Everyone was lovely, and I especially enjoyed talking with Brooks, who is smart, gracious, and modest in the way really good artists usually are. Plus, he’s a Crime Wave fan, so obviously a top notch dude. Fact you may or may not know about Brooks: he’s a really good painter. 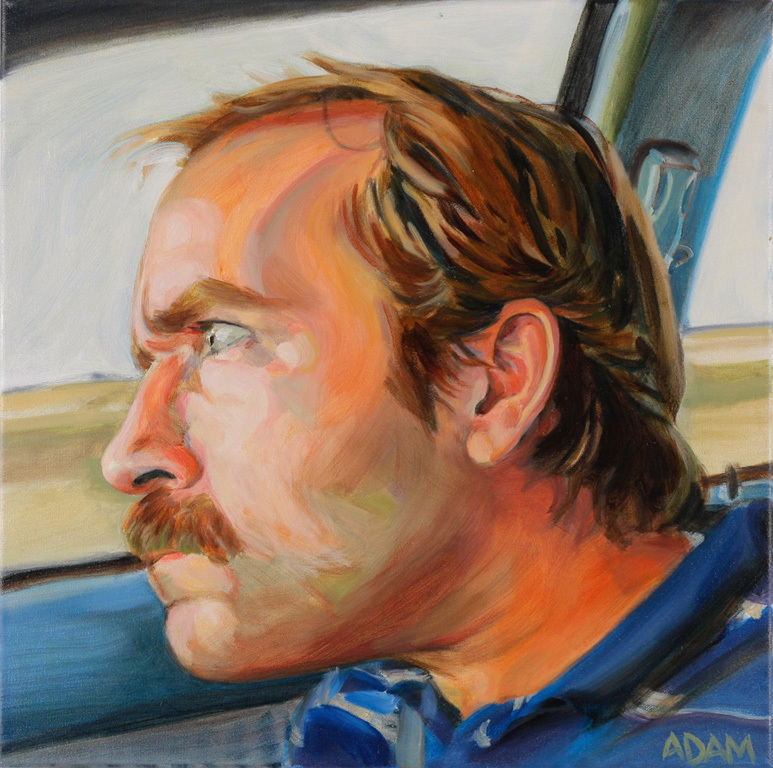 Dude should definitely be selling prints of his work to the legions of Astron-6 fans out there. If the reception their film got is any indication, he’d do well for himself. And for the record, I loved The Editor. I haven’t seen nearly as many Giallo films as these guys have, but I’ve seen enough to know that every joke lands perfectly, every zoom and dubbed line is just right, and every wild and barely-sensible plot twist is exactly as it should be. The film is really well done. Team Kennedy/Brooks is the real deal.